Sophos Network Security - Symtrex Inc.
Sophos Network Protection Security Subscription includes fully integrated features such as a configurable firewall paired with an Intrusion Protection system, Denial of Service, traffic forwarding and NAT tools and much more. Take a deeper look at the extensive range of features provided by this security application and request an evaluation. 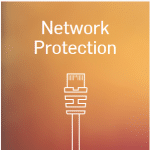 Contact us for more information or download the Sophos Network Protection Datasheet.